Last week the Israeli Electric Company declared that it is about to deploy smart meters (without saying in which technology) in 34000 house holds in 4 main cities in Israel. 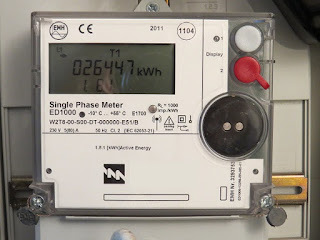 2 days ago, I was able to film several Wireless Electric Smart Meters in Tel Aviv Israel. This mark the start of the deployment of Electric Wireless Smart Meters in Israel. From what I saw it transmit for 5 seconds, then quit for 3 seconds and then transmit for 5 seconds...for ever, 24X7.